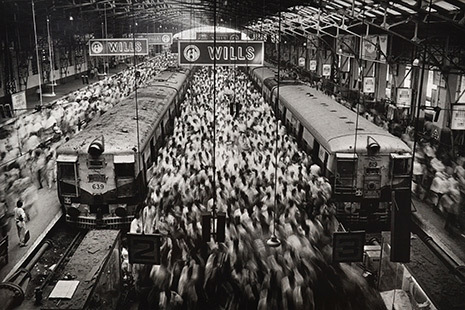 Salgado’s powerful and heart-rendering images have become icons of the human condition: suffering, ignoble exploitation and degradation; dignity, beauty, eternal hope and survival. 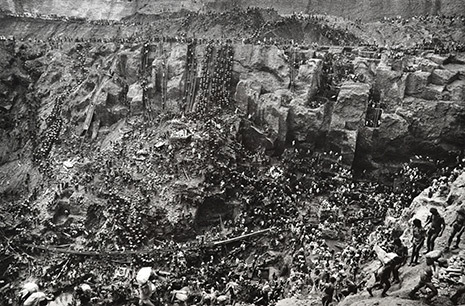 Sebastiao Salgado’s powerful and heart-rendering images have become icons of the human condition: suffering, ignoble exploitation and degradation; dignity, beauty, eternal hope and survival. It is difficult to look at these images and remain unaffected. Once seen, you are shocked into a new perception of reality. 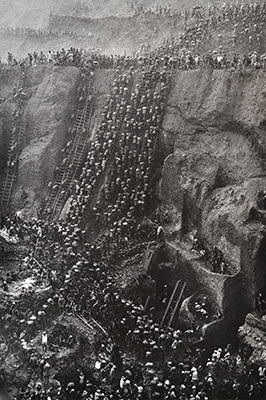 These photographs are brutally frank: images of hunger and suffering in the Sahel region of Africa and Ethiopia; remarkable documentation of Brazil’s Serra Pelada gold mine, where 50,000 men reduced a mountain to a 600 foot deep crater searching the earth for nuggets of gold; poignant images of peasant life in remote areas of Central and South America that tell of a marginal existence and at the same time portray a vision of dignity and resiliency in the soul of mankind. While working as an economist in Africa he discovered that his clinical work as a social scientist paled to the time he spent working with people directly. He borrowed his wife’s camera, and was at once amazed and affected by what he could capture there. This was the beginning of his work as a photojournalist. In l973 he photographed the tragedy and horror of the intense period of drought and subsequent famine in Africa. His work has helped focus attention on the plight of the people, and has brought aid as well as medical help to the area. In l977 he began a seven year, self-initiated project photographing in small villages in South America which culminated in his first book Autres Ameriques (Other Americas). During l984-l985 he worked with the French relief group Medecins sans Frontieres (Doctors without Borders) in the Sahel region of Africa where again, severe drought had created another famine of unbelievable proportions. His extraordinary images, dignified and empathetic, were published in France as L’Homme Detresse and in Spain as El Fin del Camino. The profits from the books went directly to Medecins sans Frontieres. In l990 Aperture published a comprehensive book on his work, An Uncertain Grace. Recently back from working in Kuwait, Salgado’s powerful images of ecological destruction were featured in the Sunday Times Magazine Section of June 9, l99l. Salgado has had fifty-one exhibits world wide, and has received numerous awards which include a grant from the Ministry of Culture in France, the Oscar Barnack Prize where his work in the Sahel was cited as the Humanitarian story of the year, and most recently the International Center of Photography Photojournalists of the Year Award and the Photographer of the Year Award from the Friends of Photography.